What’s with the Toronto real estate market? Will it ever stop? Well here is what my crystal ball says for 2015. If you are wondering when to buy, the answer is unequivocally NOW. If you are wondering whether it is a good time to move up, the answer is YES. If you are wondering whether to downsize now, the answer is YES. While my real estate fingers remain crossed as always, I cannot help but point out that this is the Perfect Storm for real estate investment provided you act NOW. The reality of the market is this. First time buyers should not wait. Toronto home prices continue to increase while lending rates decrease. Move-up buyers should not wait. With increased equity in their existing home due to steadily rising prices and decreasing interest rates, the opportunity to move to a larger home for little or no increase in mortgage payments is NOW. And finally, the last of the downsizing baby boomers, should sell NOW, while decreasing rates enhance the affordability factor for move-up buyers. Have you ever heard the expression, ‘take your money and run’? There are three caveats to the present scenario. Always pay your mortgage bi-weekly. A five-year, $1,000,000 mortgage, at 2.89% interest, paid monthly has a balance of $852,932 at maturity. The balance owing on that same mortgage, paid bi-weekly is $827,932. Not a bad return for an adjustment in a payment schedule. The second caveat is SAVE IT FOR A RAINY DAY! If you have the money now to pay down your mortgage but would rather continue to take advantage of the low rates, SAVE IT! When the time comes to renew your mortgage at presumably a higher rate, you will have the cash to pay down your balance, thereby offsetting the increase in rates. And finally, real estate is a market. A market goes up and down. Therefore, if you are on the move, always buy and sell in the same market. 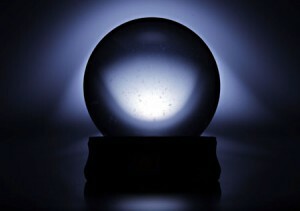 Do not rent and wait or you could find yourself priced out of the market, unless your crystal ball is better than mine!